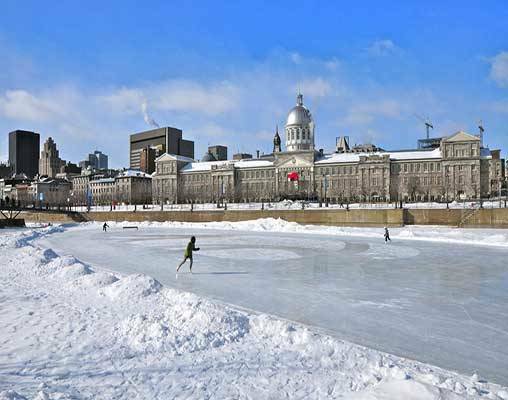 Your 6-day tour begins in Montreal, the second largest city in Canada, where you will spend two full days exploring the city. Montreal is an interesting mix of old and new; a cosmopolitan city with chic shopping, outstanding restaurants and an exciting nightlife with a glimpse of the city's rich history around every bend. Canada's Cultural Capital is home to legendary sites like the gorgeous Notre Dame Basilica, the famous Olympic Complex and a stunning view on top of Mont Royal. Following Montreal, you will then travel by VIA Rail train to Quebec City where you will spend three days admiring its 17th-century architecture and uncovering its history, which can be found down every cobblestone walkway. Visit famed sites like the Latin Quarter, the Place Royale and the Basilica, or visit the quaint shops and excellent cuisine that surrounds the city. 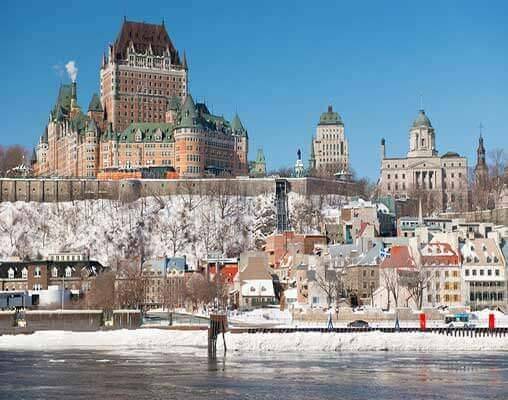 Quebec's proud heritage and European flair will make you forget you're even in Canada. + Additional departure dates are available upon request, please ask your Rail Specialist for more details. + This vacation is also available from Quebec to Montreal-based on your travel preference. Bid adieu to Montreal and prepare to say bonjour to Quebec City! Board VIA Rail train for the 3-hour journey along the St. Lawrence River to this charming city steeped in history. Transfer to your centrally-located hotel and spend the remainder of the day getting acquainted with the city on your own. Stroll the cobblestone streets, visit the unique shops, and delight in the city's sidewalk cafes and street entertainers. Overnight Quebec City. Hotels included are Delta Hotels Montreal, Montreal and Delta Hotels Quebec, Quebec. VIA Rail economy class includes a seat with picture window. Light meals, snacks, and beverages are available for purchase. Hotels included are Marriott Chateau Champlain, Montreal and Hôtel Manoir Victoria, Quebec. Business class rail aboard the train is reserved for the exclusive use of Business and Sleeper Plus class travelers, all our Business lounges are equipped for your comfort. Enjoy the services of a dedicated personnel to help you with your travels, spacious seats, HD television screens, free non-alcoholic beverages and Wi-Fi. VIA rail’s renovated car has a 2-1 seats configuration: more space for every traveler thanks to a row of single seats. It also has new ergonomic seats, side table and an electrical outlet available for each seat. Meals and a cocktail service are also included. Hotels included are the Fairmont the Queen Elizabeth, Montreal and Fairmont Le Château Frontenac, Quebec. Business class rail aboard the train is reserved for the exclusive use of Business and Sleeper Plus class travelers, all our Business lounges are equipped for your comfort. Enjoy the services of a dedicated personnel to help you with your travels, spacious seats, HD television screens, free non-alcoholic beverages and Wi-Fi. VIA rail’s renovated car has a 2-1 seats configuration: more space for every traveler thanks to a row of single seats. It also has new ergonomic seats, side table and an electrical outlet available for each seat. Meals and a cocktail service are also included. Click here to view testimonials for Montreal & Quebec - Holiday. This was our second Vacations by Rail trip. Both were absolutely wonderful. Suzanne at VBR helped us both times and is a pleasure to work with! $732 Please call for availability. $833 Please call for availability. $1,029 Please call for availability. Enter your details below if you would like to be notified when 2021 dates and prices are available for Montreal & Quebec - Holiday. Prices are correct at the time of publication, however are subject to change at time of booking. 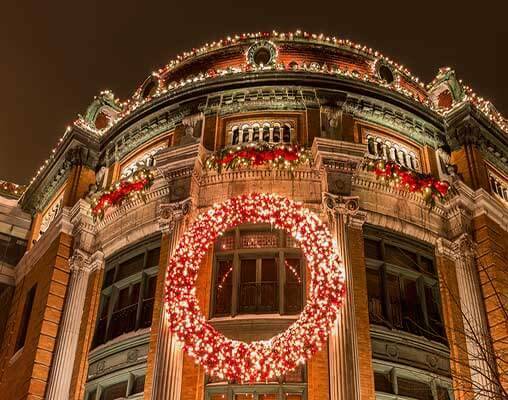 Hotel and Rail accommodations listed above, are subject to change based on availability at the time of booking. Child rates are available for travelers age 2-11. Triple rates available upon request. Departure dates on or within the seasons shown will determine the price per person based on double occupancy.